Can you feel the ground moving? Sometimes I think I can. When I can practically WATCH the shifts in higher education happening, it can be almost disorienting – – as if the world is moving around me, while I struggle to keep up. If I hadn’t been convinced before of the shift toward new models in education, then I certainly am after this weekend. I was privileged to be invited by educational technology guru Steve Hargadon to the Reinvent-ED unconference held at Black Mountain SOLE campus in North Carolina. The idea behind the conference was to bring together activists, leaders, visionaries, and learning enthusiasts to discuss the future of education – – a re-invent-ED education. While SOLE’s – – self-organized learning environments – – have been around for several years now, they generally have focused on primary-age children. 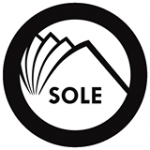 The idea behind a SOLE is to allow children access to learning – – using the tools of the technological age – – to follow their own curiosities and imaginations, unfettered by the educational expectations of adults. You might be thinking that this sounds a lot like something many homeschoolers are already embracing – – unschooling – – and you would be right. 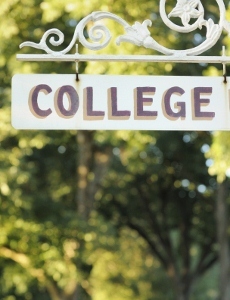 A SOLE for Higher Ed? In other words, what if unschooling didn’t have to end in high school?? Black Mountain SOLE is a community-based, collaborative experiment that in some ways mirrors a traditional college. There is a campus, a dining hall, and residential housing for non-commuters. But past that, you might not recognize much else of what you normally associate with a hallowed hall of institutional learning. There are no professors, no tuition costs, and no classes, for that matter. Instead, if you visit, you will find an environment of unbounded exploration. Where SOLE-mates (clever, huh?) are partnered with mentors in specific areas of expertise. Where a Gap Year means actually being able to follow a passion or project through to completion – – on your own terms. Where one size does NOT fit all, and individualization is treasured. Where can I find out more about Black Mountain SOLE?